We have a lot of amazing games for customers and staff to alike to play here at Virtual Hideout, and with over a hundred incredibly-immersive experiences to try, it can be a little hard to decide what to have a go on next! 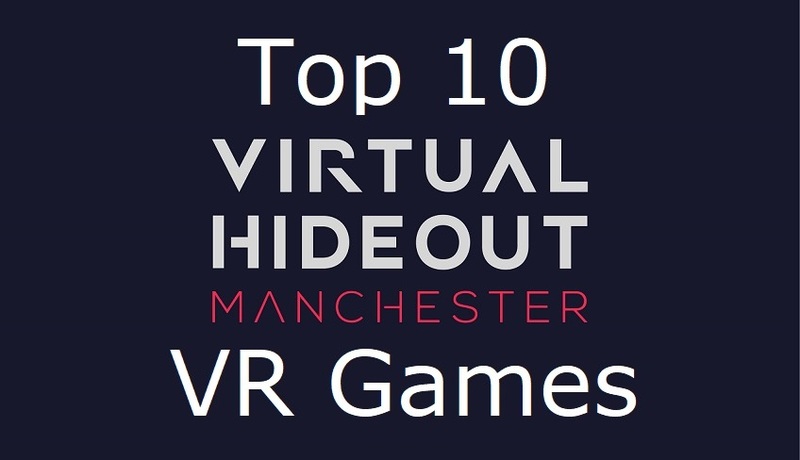 For those of you that are struggling to know exactly what to play on your next trip to Manchester's number one Virtual Reality Gaming centre, we're putting together a list of our Top 10 titles that are playable when you book in for a session with us. Starting tomorrow, September 14th, we'll be updating our blog and social media, counting down the Top 10 games our Virtual Reality sessions offer and telling you a little bit about each mind-blowing experience each day. Whether you're new to VR and just want to see some of our favourite games or you're looking for suggestions for your next visit to Virtual Hideout, you're sure to find something of interest! Be sure to check in daily to see what Virtual Reality could do for you; the staff are eager to show you their personal favourites! Not convinced? Feel free to pop in and ask for a free trial on today's Top 10 game, we'll be happy to oblige!